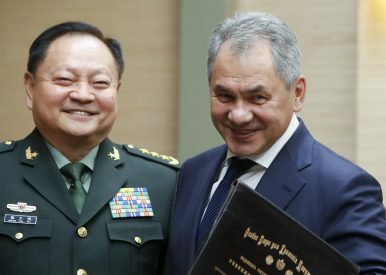 Laoconnection.com: Where Are Russia-Laos Military Ties? This week, Russia’s defense minister paid a visit to Laos as part of a wider Southeast Asia tour. His trip put the spotlight on Russia-Laos military ties, which have been developing in recent years as part of the broader relationship between the two countries. Laos and Russia have long had a close defense relationship that extends across several realms, including military education, law enforcement cooperation, and the purchase of military equipment. But ties have also been on the uptick of late, as Vladimir Putin’s Russia – ambitious abroad and increasingly isolated from the West – tries to deepen ties with Southeast Asian states, and Laos’ new leadership, which took over following the quinquennial party congress in 2016, looks to solidify ties with neighboring states and major powers. Over the past few years, military technical cooperation has factored into visits between defense officials, including tips to Russia by both Laos Defense Minister Chansamone Chanyalat and Public Security Minister Somkeo Silavong in 2017, as well as broader high-level interactions by the two countries, with Prime Minister Thongloun Sisoulith’s meeting with Vladimir Putin in May 2016 and his subsequent visit to Russia last September where he met with Prime Minister Dmitry Medvedev. During Thongloun’s visit in September, for instance, one of the agreements reached was a contract on military and technical cooperation. That came amid other recent agreements the two sides had reached to further boost collaboration in this realm, including additional Russian assistance with respect to helicopter repair and several other military procurement deals. On January 23, Shoygu paid an official visit to Laos in another notable development for bilateral defense ties. During his visit, he and his delegation met with top officials including Defense Minister Chansamone Chanyalath and Prime Minister Thongloun Sisoulith. Shoygu’s visit included various activities, including official military talks and ceremonial activities such as laying a wreath at the Unknown Soldier Monument. According to the Lao defense ministry, during their military talks, the two sides reviewed past cooperation and discussed opportunities for future cooperation. Part of the discussion focused on implementing previous agreements recently reached and continuing talks on how to expand military and technical cooperation.